Heizen is Webster’s One Pound Wonder’s take on a true classic of the e-liquid world. 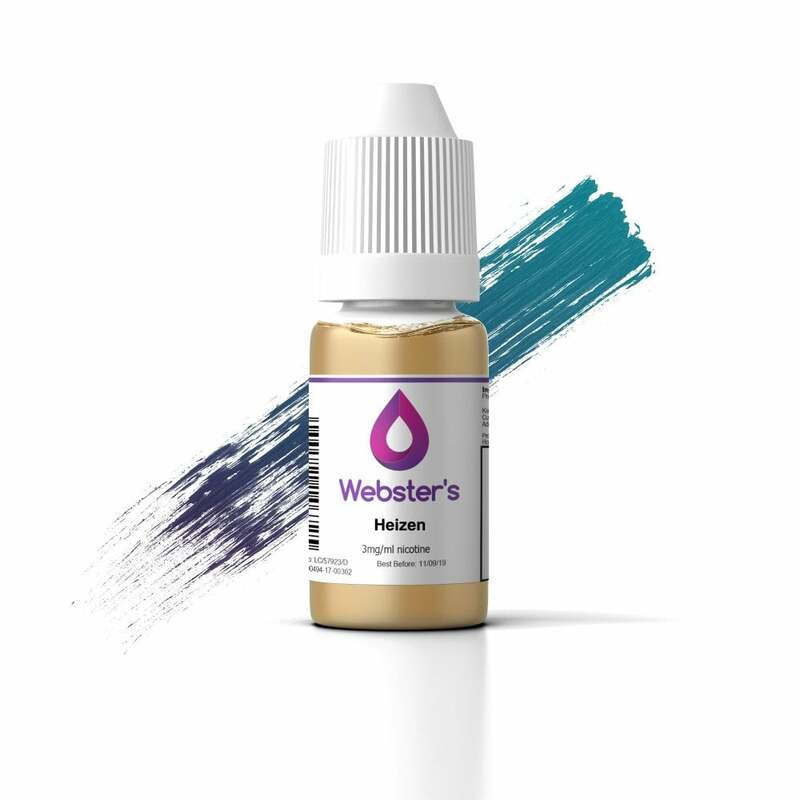 An expertly blended cocktail of berries, blue raspberry, aniseed and grape with a candy-tinged touch of mint every time you exhale, Webster’s Heizen is an irresistible all-day vape that fruit and menthol vapers will love. Best tasting liquid I have found after a lot of searching and at only a pound a bottle, it’s even better! The flavour is really good, as long as this is a £1 this will be my go to E-liquid! I love the taste of this £1 liquid. Amazing value and the taste is really good. It reminds me of a mix of sweets with a lovely smell. Produces a good amount of vapour. Perfect - arrived the next day, a big order of 60 bottles with free shipping. Better than most other heizen e liquids which can run to three times the price per 10ml. Very tasty and satisfying. Great price, would definitely buy again. I really like this vape liquid I can't tell the difference between this and a more expensive juice. Love this oil, this is my second favourite first being menthol. Great taste and affordable, no downside to this one. I suppose it must me down to personal taste, however I found this quite awful! I can only describe the flavour as some sort of horrid mouthwash you would use at the dentist. So, definitely not the flavour for me - and despite changing the liquid pretty quickly I can't get the flavour out of my coil! However on the plus side, if you like this flavour; it is definitely strong and for a cheap liquid, vapour production is good as it throat hit. Smooth but noticeable (I bought 12mg) on the intake. I won't buy again, but probably due to personal flavour preference. The liquid itself appears of good quality regardless. Excellent delivery and great value e liquid. Used this company via a recommendation and so pleased I gave it a go will definitely keep on buying. Was dubious if the £1 liquids would be ok as i have a cool fire 4 and worried the liquid would be too thin and leak. But I am plesantly suprised, no leaks great strength and lots of flavour. I will definitely be ordering the £1 liquids again.